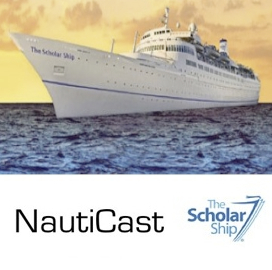 Led the creation of a Higher Education Podcasting Series called NautiCast, which was recorded onboard the MV Oceanic II cruise ship. For this project I created and managed the online community 7 months prior to embarkation with 80% of the onboard community registered prior to embarkation. I designed the curriculum for the podcasting series and organized with the Dean of the College of Education and Human Services (COEHS) of Western Illinois University (WIU) to coordinate with over a dozen department chairs on podcasting content that would be suitable for their faculty and existing lesson plans. Over 16 hours of material was recorded and published in iTunesU (Note: The link will open in iTunes). The MV Oceanic II transversed the globe for a period of 16-weeks and visited Greece, Portugal, Panama, Ecuador, French Polynesia, New Zealand, Australia, The People’s Republic of China and Hong Kong. I collaborated with the United Nations, Government Agencies, Private Companies, NGOs, NPOs and individuals from over 55 nationalities and 67 languages during production stage. I provided on-shore support on second voyage through China, Thailand, India, Seychelles, South Africa, Cape Verde, Turkey, Lisbon and the Netherlands.